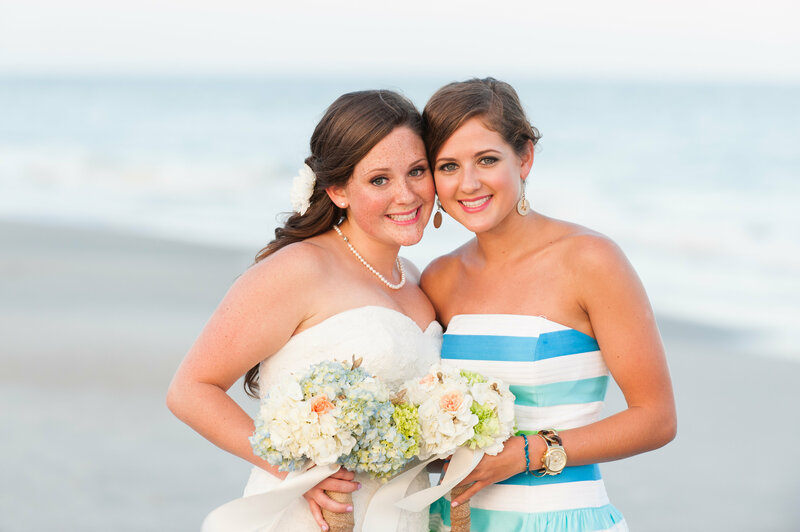 We get asked often by our brides if airbrushed makeup is a better option for the big day. We get requests by clients just because they heard it was great. Well, over the past 5 years, airbrush machines and products have been popping up all over. Of course, there is a lot of hype about how wonderful it is and it’s a great choice for the right texture of skin and when a specific look is desired. The big secret is that because it is a fine sheer mist when applied and it only looks good on skin that is without texture and is already in decent condition. Most Pros and respected celebrity makeup artists use traditional makeup, because it is more precise and targeted. Traditional foundation offers a variety finishes and coverage. Because, the finish is in hand-blending, you can work the product into skin that may have some texture issues. Traditional application allows you to select makeup for the skin type and not just one color and one airbrush finish. No need to worry about ruining an airbrush finish since the finish is largely contingent upon your skill as an artist and not a machine. Not to mention, traditional foundation is more flexible when it comes to building up or sheering down coverage and for contouring and highlighting the face. As a Pro artists, we prefer traditional makeup applications because of the control in the final outcome. For Mary & I there is not substitute for hands-on application. Visit Makeup Artistry On Location to view our traditionally applied makeup applications. If you have any questions, call The Total Myrtle Beauty at 843-333-3787 and ask for Mary or Laura.